Off-street parking requirements are devastating American cities. So says the author in this no-holds-barred treatise on the way parking should be. 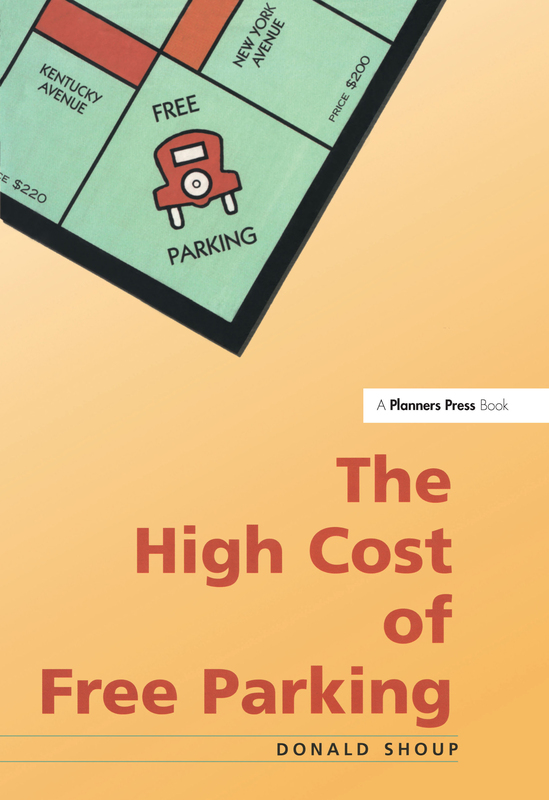 Free parking, the author argues, has contributed to auto dependence, rapid urban sprawl, extravagant energy use, and a host of other problems. Planners mandate free parking to alleviate congestion, but end up distorting transportation choices, debasing urban design, damaging the economy, and degrading the environment. Ubiquitous free parking helps explain why our cities sprawl on a scale fit more for cars than for people, and why American motor vehicles now consume one-eighth of the world's total oil production. But it doesn't have to be this way. The author proposes new ways for cities to regulate parking, namely, charge fair market prices for curb parking, use the resulting revenue to pay for services in the neighborhoods that generate it, and remove zoning requirements for off-street parking.